Argyle Feed & Hardware is OPEN July 4th— Stop in the store and pick up a treat for your pets and check out our great selection of pet foods and supplies, hardware, gardening products, grills and accessories. We have everything you need to kick your Fourth of July Celebration off with a bang: propane refills, bug repellents, bagged Reddy Ice and more! 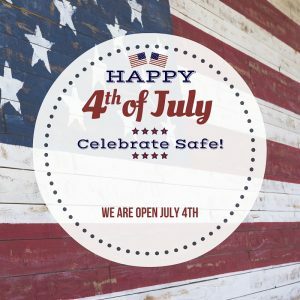 Stop in and say hello— Have a safe and happy Holiday Weekend! This entry was posted on Sunday, June 24th, 2018 at 3:24 am	and is filed under Events, News & Updates. You can follow any responses to this entry through the RSS 2.0 feed. Both comments and pings are currently closed.